Rusty blackhaw (Viburnum rufidulum) of the Arrow-wood (Adoxaceae) family, formerly of the Honeysuckle (Caprifoliaceae) family, is a small deciduous tree or large shrub (referred to as “tree” herein) with a year-round attractive appearance. It occurs in the U.S. from Texas to Kansas to Ohio to Virginia and thence into states along Atlantic and Gulf coasts. In Arkansas, it occurs statewide. Viburnum is the classical Latin name for this group of plants. The specific epithet means “rusty colored” in reference to the buds and leaf pubescence. Other common names include southern blackhaw, rusty nannyberry and blue haw. It grows in a wide variety of well drained soils in upland sites ranging from open woods and woodland edges to fence rows. Rusty blackhaw reaches 15 to 25 feet tall, the taller trees growing in well drained, mesic soils. Plants usually have a single, low-limbed trunk to 6 inches in diameter, but may produce suckers that result in tight groves. New branches in spring originate either immediately above the previous year’s leaf scars or as adventitious buds that “sprout” on upper sides of older branches. New branches have pairs of lateral leaves that are evenly spaced and off-set 90 degrees from pair to pair. In a branch’s second growth year, new short and stout lateral branches (twigs) grow perpendicularly to the parent branch from axillary buds immediately above leaf scars. Branches have thin, smooth, gray bark at the end of their first growth year and later roughen and develop darker raised and irregular lenticels (pores). As upper branches age over a number of years, they become arched and the crown becomes rounded to irregular. The trunk and lower portion of vigorous branches, as they increase in girth, become vertically and horizontally fissured, creating a blocky appearance. Branches and trunks are round in cross-section. Photo 1: Branch on right has bark with early fissuring and small, rough lenticels. Trunk on left, 3 inches in diameter, has fissured, blocky bark. In late fall, current and past year’s branches have apical and lateral buds. Larger apical buds (to ¼ inch long) project directly out from branch tips while smaller lateral buds are pressed against the branch. Buds have several pairs of rusty-colored scales (each pair offset 90 degrees) that meet edge-to-edge (valvate). The outer pair of scales has very short, velvety, rusty-colored pubescence while underlying pairs are less velvety. Apical buds have a flattened spear shape; larger apical buds with a truncated base enclose rudimentary flowers. Simple, leathery, opposite leaves, up to 3+ inches long and 2½ inches wide, are mostly oval to obovate, but some at ends of branches may be elliptical. Petioles are short (to ½ inch) with flat to grooved upper surfaces. Petioles angle upward, but leaf blades twist toward the horizontal for best sun angle. Leaves in sunnier sites are more leathery and have a dark green and glossy upper surface and a lighter green lower surface. Leaf margins of trees in sunnier sites are jaggedly serrated and may be crinkled, while in shady sites, serrations are smaller and leaves are thinner. Leaf blades may extend a short distance down petioles. Venation, depressed on the upper surface, is pinnate with secondary veins disappearing before reaching leaf margin. Tertiary veins form a rectangular-pattern. Early in the growth year, rusty pubescence may be found on the petiole and underside of the leaf, especially along central and secondary veins. In fall, leaves display various shades of pink, red and purple. Photo 2: Upper stem resulted from current year’s growth while lower stem-segment exhibits four years of growth. Larger buds enclose rudimentary flowers. Shape of larger leaves, as shown, is typical while smaller elliptical leaves, as shown, are near ends of branches and twigs. Rusty blackhaw is at peak-bloom by the first of spring when new leaves are fully unfurled. Inflorescence consists of convex cymes of closely spaced white flowers in clusters on a half dozen or so green, upright floral branches, which are also branched. Cymes, even occurring on shrubbier plants, are abundant and well spread over exterior of the tree. A cyme, to 5 inches across, may have 150 or more flowers that reach anthesis at the same time. Photo 3: In mid-April, cymes are positioned above new leaves. Leaves have a shiny surface and reddish petioles. Flowers, ¼ inch across, are bisexual with a white corolla that has five broadly-rounded and widely-flared lobes. Five stamens, alternating between lobes, have white to translucent slender filaments bearing pale yellow two-part loosely attached anthers. Pale yellow stubby ovaries are topped by a short thick style and a flat stigma. Photo 4: Flowers have white corollas with five spreading lobes, exserted anthers and a stubby ovary. In late summer, cymes have a short (¼ inch) woody base topped by 1½ inch long floral branches which have become reddish and droop due to fruit load. A few to a dozen or more fruits typically are produced on a cyme. Fruits are rounded-elongate (½ inch long and ¼ wide), glabrous (hairless), fleshy drupes, each with a single stone. Drupes, at first a light to medium green, become pale red before turning blue and then a shiny blue-black that is dulled by light blue haze (a waxy “bloom”). Juicy purple pulp of mature drupes becomes mealy as drupes wrinkle at final maturity. Fruit is persistent into early winter. Photo 5: With fertilization, ovary enlarges to a round-elongate fruit. Photo – late May. Stones (3/8 inch long by ¼ inch wide) have a flattened, oval shape with a small point at one end. One side has a raised longitudinal middle section while the other side has a corresponding sunken section. Stones cleaned of pulp remain a dark blue color; however, true stone color is a medium tan. Photo 6: In fall, fruit changes from pale red to blue-black with light blue waxy haze (bloom). Floral branches become red. Photo – early November. For a garden or natural area, rusty blackhaw is an excellent choice. It would do well in a rocky area in full sun to partial sun. A long-lived small tree with attractive leaves, plants produce a large number of white cymes in early spring and a striking, colorful display in fall. In winter, it exhibits interesting structure. Lower limbs may need to be removed to form a clean trunk for a tree and, if suckers appear, they may be removed. The fruit is also an excellent food source for birds and small mammals. 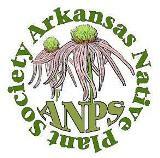 At least nine other members of the genus are found in Arkansas. The Arkansas species that most closely resembles rusty blackhaw is blackhaw (Viburnum prunifolium) which has very similar structural, flowering and fruiting characteristics, but tends to favor moist valley soils in the Interior Highlands (primarily in the Ozarks and Boston Mountains, but also with scattered occurrences in the Ouachitas). Leaves of Viburnum prunifolium tend to be thinner and more elongate, with smaller marginal serrations and pointed apices–somewhat plum-like. Rusty blackhaw can be identified by its rusty colored winter buds, mostly oval to obovate leathery leaves, shiny upper leaf surface and early rusty pubescence on leaves. This entry was posted in Know Your Natives, Native Plants, Shrubs, Trees and tagged Adoxaceae, Know Your Natives, Rusty Blackhaw, Viburnum, Viburnum rufidulum. Bookmark the permalink.